Richard has a creative engineering background with 20+years experience in the corporate business sector. His passion is in architecture, creative design, practical artistic application and high integrity business management. 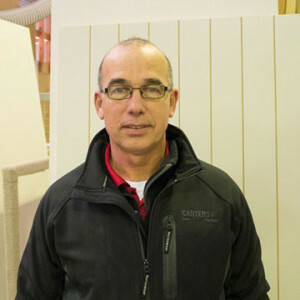 Richard is particularly focused on customer satisfaction and growing a team of dedicated personnel who can meet and exceed customers needs with product and service excellence. 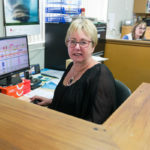 His attention to detail, commitment to staff and dedication to long term client / customer / supplier /market / community relationships have shaped the backbone and culture of OpenDoors NZ Ltd.
Paula has served in the industry a long time. She has a very broad knowledge of doors, door construction, jamb options, residential solutions and a very broad knowledge of hardware. 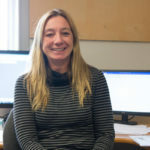 Paula manages our office functions and is responsible for the quoting and jobbing of all Classic Builders work. Paula has a lifestyle block and enjoys the country and her grandchildren. Derick joined us in 2015 as the Production Manager in the Factory. Derick comes with a high level of Management expertise in a wide range of different fields. He is a specialist in LEAN Manufacturing techniques. 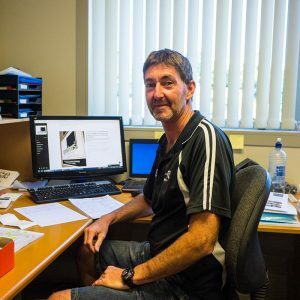 Having moved from Hamilton with his wife Terri-Lyn, Derick is thoroughly enjoying the relaxed beach lifestyle in Papamoa – where he can pursue his interests in the outdoors. Derick has two adult children, and two grandchildren. Bernadette has worked with doors for a long season and is skilled at translating plan details into practical items for pricing and quoting. She had a season with a door manufacturer and translates this valuable historic knowledge into her day to day work. Bernadette enjoys to live in the Sunny Bay of Plenty and has grown-up children. Terri joined us in 2015 on a project basis to assist Open Doors with scheduling activities. She has become a key member of the team since then, now with an emphasis on the growth and development planning of the company. Terri also takes care of the ‘Jobbing’ side of the admin process. Terri is married to Derick and also enjoys the lifestyle in Papamoa. 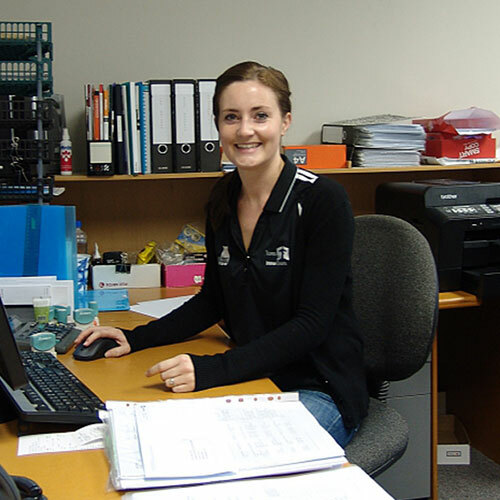 Kayleigh joined us in 2014 after enjoying living in Twizel and Auckland with her husband Cliff. Her background is in Beauty Therapy in boutique salons in Tauranga and Auckland. Kayleigh now assists with all accounts and administration duties and is the key contact for BARN Doors. Cliff and Kayleigh have a beagle puppy Nahla, who takes most of their free time. Cliff re-joined us in 2014. He has worked in the factory previously in Hinging and Cropping. Cliff holds degrees in Business and Environmental Science. 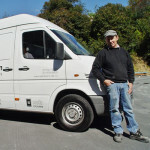 Cliff is the main Sales Representative and provides Business Support to Richard. He is married to Kayleigh and is a very keen spear fisherman, hunter and diver. Dale joined us in 2015 from Hamilton after recently moving from South Africa. He is enjoying living in the sunny Bay of Plenty where he can enjoy his hobbies – including water sports and surfing. He is also keenly interested in cars and racing. 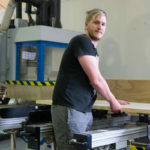 Dale is growing and developing his experience with our CNC machine along with his Joinery apprenticeship. Leanne acts as our Gatekeeper by taking all initial enquiries and directing them to the most appropriate person or department. She follows all jobs though the production schedule so is the point of contact for despatch confirmation and production updates. Grant has been associated with the door pre-hanging industry for much of his career. He co-ordinates the start of the process and drives our success based on how well the job starts its journey into the factory. 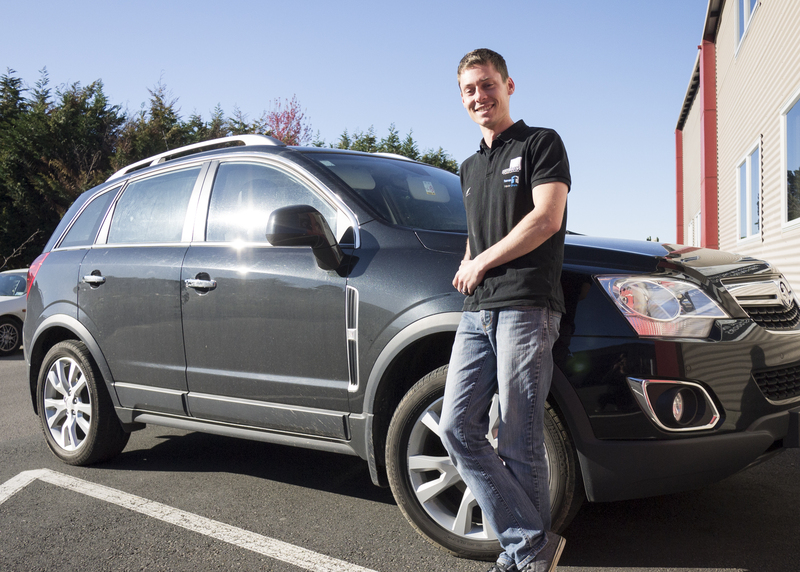 Grant is a fan of Hot Rods and modified cars and has much practical experience in this area. Paddy has been with us on and off over a long time. 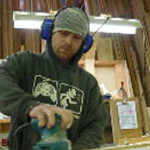 He has a commitment to accurate cutting and preparation of Jamb and associated finishing timbers. Paddy is “old school” and minimises our waste at the start of the process. Paddy has a keen interest in model aircraft (both building and flying). 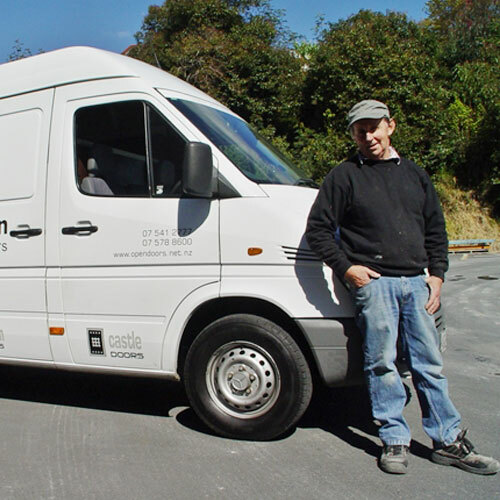 Originally from England, Jon has been in Tauranga about 10 years. 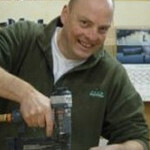 He has a broad range of timberworking knowledge and skill and has crafted bespoke doors and furniture. Jon has demonstrated his finess for detail with some of our secret bookcases and has made the odd coffin. He enjoys the outdoors on his small lifestyle block. 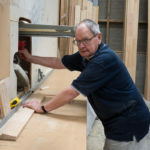 Mike is a contractor at Open Doors – skilled in a range of timber and joinery processes. Mike provides skills, services and development expertise on a contract basis with a primary focus on developing/optimising our CNC machinery and its integration into our production flow. Mike also provides contract services in CAD drawing which help us with a range of production flow/process designs which can be evaluated ahead of implementation. Bob is our general hand in the factory and is sufficiently flexible to help out where most needed. He is always presenting a positive attitude and a regular smile! Bob had many years at B&H before joining our team so brings a wealth of general door knowledge to our operation. Cory joined us with the integration of Ave15 Doors. 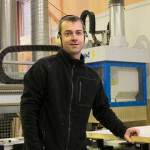 He is particularly familiar with the Arkline jamb products and has CNC machine operating experience. Cory is very fussy in his detail assembly and delivers with accuracy and excellence. Daniel is a door pre-hanger. 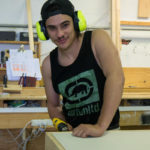 Daniel has been with us for some time and delivers a close attention to detail and assembly excellence which transfer from his cabinet making experience. He has demonstrated a passion for detailed craftsmanship and has an interest in music (particularly drumming). 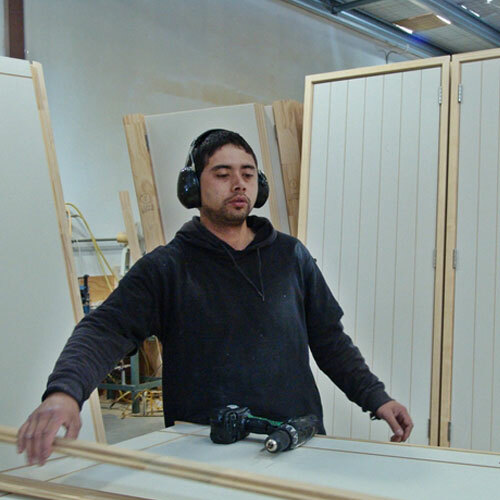 Khan is new to pre-hanging and has developed his skills very quickly to our high standards. Khan always has a gentle smile and a friendly engagement. He is a new dad and loves his little boy. 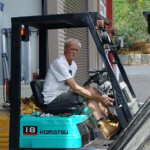 Bill is our general hand in the factory and most of his day is spent delivering small orders or cavity sliders. Bill has a perpetual smile and a happy tune. Bills’ background is in building, so when he is in the factory he generally assists in the Specials department. 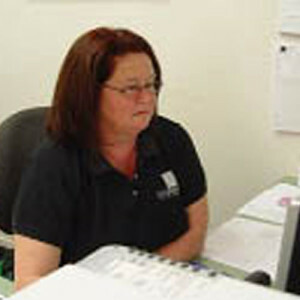 Fionna is detailed, precise and friendly – which are pre-requisite qualities for our Admin office roles. She enjoys rural living and is very knowledgeable about lemons !